The partial government shutdown has closed the D.C. Marriage Bureau, halting civil ceremonies and the issuing of marriage licenses. 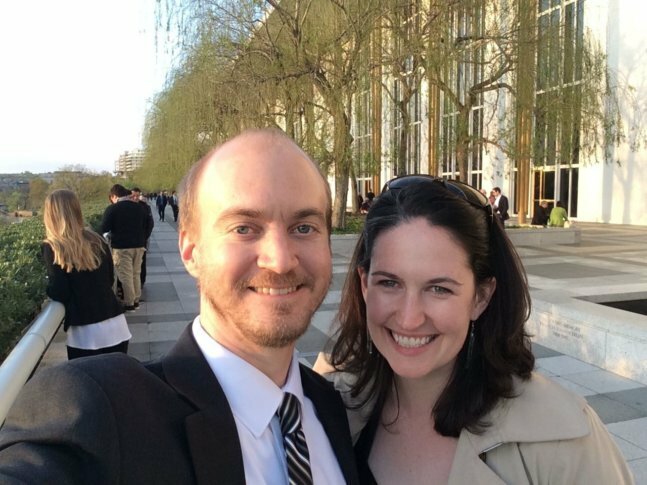 For one local couple, a Jan. 12 wedding ceremony in downtown D.C. will go on. But, "I would still like the paperwork to be done," said the bride-to-be. WASHINGTON — Happy couples tying the knot can often be seen flitting in and out of D.C. Superior Court — but not this week. The partial government shutdown has closed the D.C. Marriage Bureau, halting civil ceremonies and the issuing of marriage licenses. “We’ve been planning this for a while to revolve around my school break. We’re very excited to get married. We have about 140 guests coming to town for the wedding,” said Claire O’Rourke, of D.C.
She and her fiancé are planning a Jan. 12 wedding ceremony in downtown D.C. Guests are coming from California, Wisconsin, Minnesota and as far away as Ireland. The wedding has been sandwiched into a period in which O’Rourke, who works full time, has time off from her law school studies at George Mason University. “Obviously, you need a license to be formally married, and you can pick one up at the D.C. courthouse. … We went to do that … and found out that the Marriage Bureau in D.C. is closed due to the government shutdown,” O’Rourke said. Scheduled court hearings are proceeding and jurors are being asked to report for jury duty, but the Marriage Bureau, the library and the Child Care Center at D.C. Superior Court are not providing services during the stalemate. The lack of a marriage license isn’t the only hitch in O’Rourke and her fiance’s plans to get hitched. They hoped to dash over from the ceremony at the Kimpton Hotel Monaco to the Smithsonian’s National Portrait Gallery to pose for wedding pictures. But, the renowned museum is among the places shuttered during the partial shutdown. Yet, love conquers all — the long-planned wedding will unfold as scheduled. “We’re still going to get married and we’re still going to have our wedding, and we’ll still be happy about that. But, man, I would still like the paperwork to be done,” O’Rourke said.